The round, illuminated ES Series panel mount push button switch is available with bi-color LED options and a matte body finish. Actuator options include round, flat, raised and now square with a square frame. IP67 process sealed, this push button switch is SPST normally open or SPST normally close and momentary or latching. 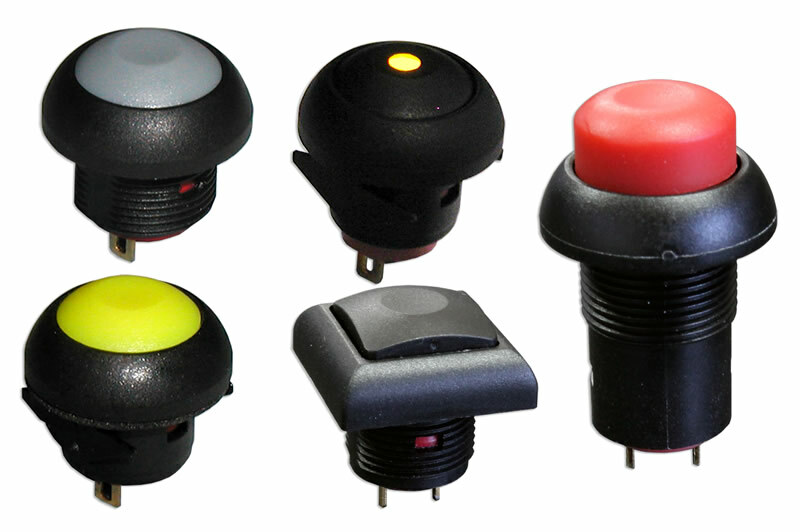 This IP67 push button switch is SPST normally open or SPST normally close and momentary or latching. Customize the process-sealed switch to suit your needs.